UPDATE: The reunion has been confirmed by Vogue UK. It's all happening! After their mini-reunion just last month to announce their work on Viva Forever, the musical based on their lives, the Spice Girls are expected to perform at the Olympics closing ceremony in London in August. While the performance is not yet confirmed, Victoria Beckham (AKA Posh) isn't doing much to quash the rumors. According to the Hollywood Reporter, she told an English radio program yesterday, "I don't know about a comeback tour, but I loved being back with the girls...we are very excited about the Olympics." It gets better, Spice Girls fans (aka me)! 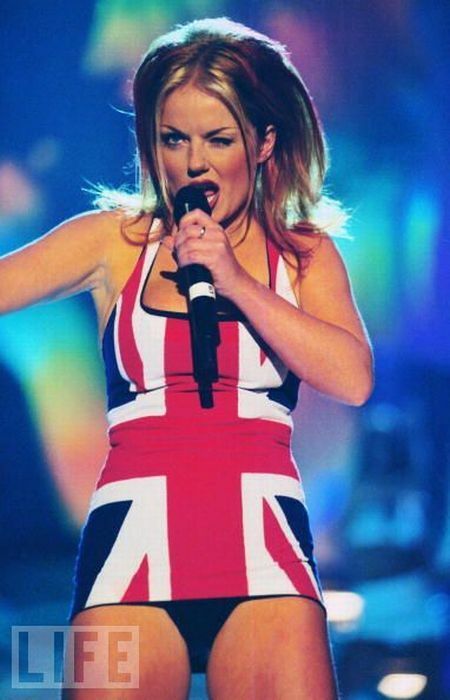 According to the Telegraph, the Girls are dusting off their 1996 debut hit single "Wannabe" for the closing ceremony, and—wait for it—Geri Halliwell (AKA Ginger) will sport the classic Union Jack dress she wore to the 1997 Brit Awards. Oasis' Liam Gallagher is also said to perform the band's No. 1 hit "Wonderwall" with his group Beady Eye at the closing ceremony, so basically the mid-'90s are going to be hella represented. Viva forever! How do you feel about the Spice Girls' possible performance at the Olympics closing ceremony? Let us know your thoughts in the comments. Are The Spice Girls Finally Reuniting With a New Album & TV Special In 2018?